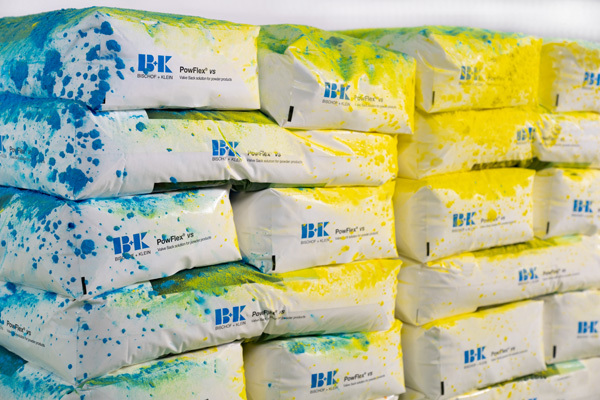 The B+K PowFlex® vs (valve sack) is a genuine alternative to paper valve sacks with an intermediate layer of film in the construction material industry and a sensible addition to the B+K PowFlex® FFS product range. Naturally, the sacks can also be used for other powdered products, e.g. in the chemicals or foodstuffs industries. Feel free to contact us directly. We will help you to configure a suitable packaging solution for your product. Of course, we will also gladly provide you with application technology advice and support in switching from paper to PE. 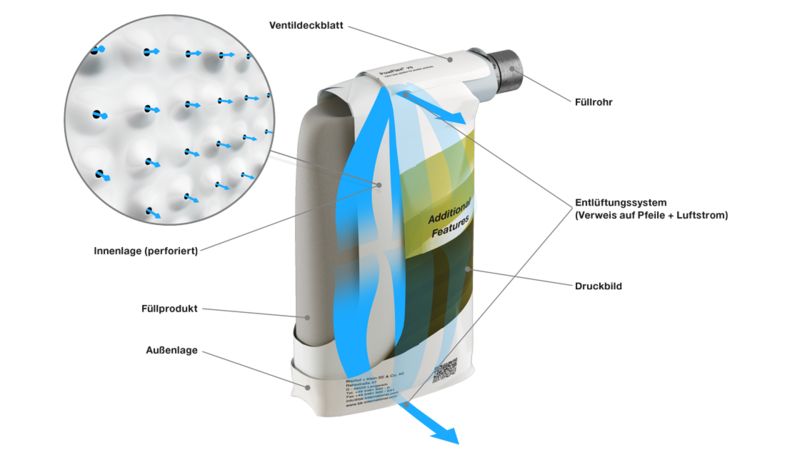 Thanks to our new ventilation system, the single-origin PE valve sack is able to ventilate just like a paper sack during and after filling. After the filling process, the ventilation system closes automatically. 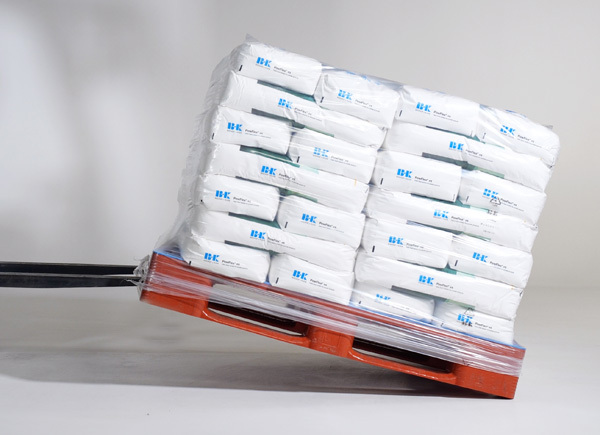 Since our B+K PowFlex® vs sack can be filled on existing lines, investing in new FFS filling lines is not necessary. Paper valve sacks, with or without an intermediate layer of film as moisture protection, only protect your powdered products against moisture to a limited extent. 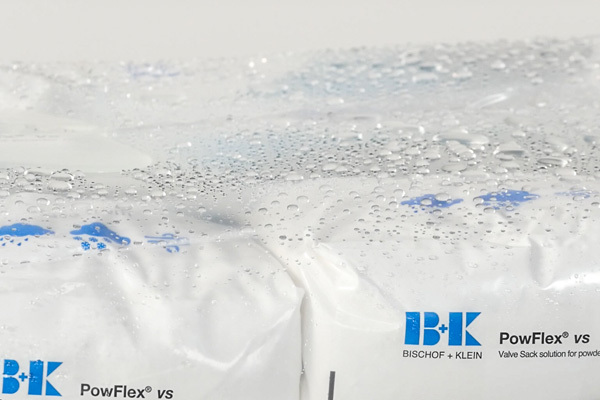 Conversely, our B+K PowFlex® vs plastic valve sack offers ventilation and permanent protection against wet and moisture. Storage tests (storage outdoors) confirm its longer shelf life. This film sack offers the foodstuffs industry extensive hygiene advantages. After the filling process, our sacks can be optimally and cleanly palletised using robots or by hand, and retain their shape. With appropriate printing, the palletised sacks are also ideal for advertising purposes. Optimum protection of your products "whatever the weather"